Jet Airways announced after market hours yesterday, 25 March 2019, that its board approved conversion of Rs 1 of lenders' debt into equity by the issuance of 11.40 crore equity shares, in accordance with the RBI Circular of 12th February 2018. With this, the consortium of Indian lenders, led by State Bank of India (SBI), will become the majority shareholders of Jet Airways. 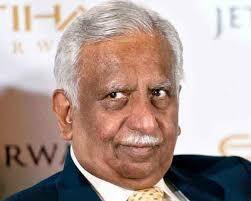 The board also approved reconstitution of the board of directors of the company by resignation of promoter, Naresh Goyal, Anita Goyal, and Kevin Knight, nominee director of Etihad Airways from their positions on the company's board. The two nominees of the promoter and one nominee of Etihad Airways will continue on the board. Two lender nominees will be inducted to its board, subject to the receipt of requisite approvals. As part of the resolution plan, the lenders will provide an immediate interim fundingsupport of Rs 1500 crore to Jet Airways. An interim management committee (IMC) has been constituted to oversee the overall financial and operational performance of the airline under the overall supervision of the board of directors with the support of McKinsey & Co. As part of the resolution plan, the lenders will also begin the process of sale/ issue of shares to new investors which is expected to be completed in the June quarter. Grasim Industries said it has challenged the order of Deputy Commissioner of Income Tax (DCIT) dated 14 March 2019, raising demand of sum of Rs 5872.13 crore on account of dividend distribution tax (including interest) before the Bombay High Court. The company has submitted that the order passed by the DCIT is wholly unsustainable in law and the department has sought time to file reply. The company has received order dated 22 March 2019 from the Bombay High Court. The High Court, while granting time to the Department for filing reply, has granted stay against the recovery of demand. The announcement was made after market hours yesterday, 25 March 2019. Newgen Software Technologies announced that its board approved to incorporate a wholly-owned subsidiary in Australia and to make initial investment upto 1.5 million Australian dollars in the proposed subsidiary by way of subscribing to its shares. The announcement was made after market hours yesterday, 25 March 2019. Bharti Airtel announced new ISD call charges for Bangladesh and Nepal as part of its endeavour to simplify tariffs and add to customer convenience. The new ISD call charges, which are currently available to Airtel prepaid mobile users, are the most affordable in the industry and eliminate the need for buying additional ISD packs to make calls to Bangladesh and Nepal. Airtel mobile customers can now enjoy the most competitive ISO tariffs with their regular recharge packs and bundles. Calls to Bangladesh will now be charged at only Rs 2.99/minute (versus Rs. 12 per minute earlier) representing a reduction of 75%. Calls to Nepal will now be charged at Rs 7.99 per minute (versus Rs 13 earlier) representing a reduction of approximately 40%. The announcement was made after market hours yesterday, 25 March 2019. Aurionpro Solutions announced that its board approved the buyback of upto 10.81 lakh shares, or 4.61% of equity capital, at a maximum price of Rs 185 per share, for a total amount not exceeding Rs 20 crore.  The announcement was made after market hours yesterday, 25 March 2019.